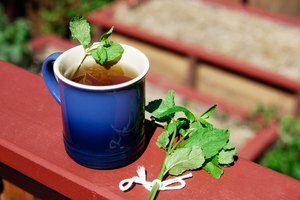 How to Grow and Prepare Chamomile for Tea. Chamomile tea has a subtle herbal taste and is famously used as a sleep aid and to calm upset stomachs. 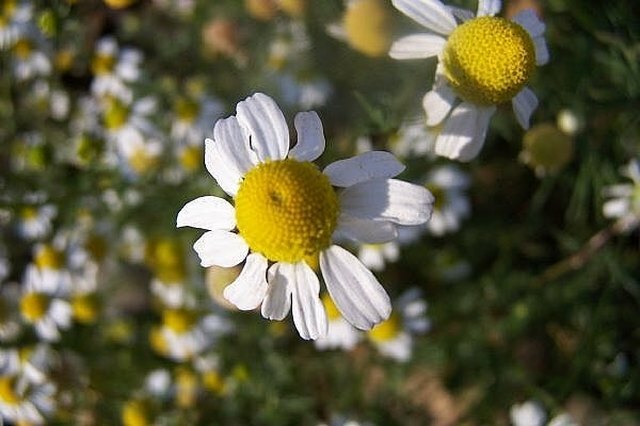 Two types of chamomile are commonly planted in herb gardens: German chamomile (Matricaria recutita), a robust annual that grows to about 2 feet tall and Roman chamomile (Chamaemelum nobile), a petite perennial. When growing chamomile for tea, use German Chamomile which produces an abundance of apple scented, daisy-like flowers. Here is how to prepare it. Plant German chamomile seedlings outdoors in spring after all danger of frost has passed in a spot with full sun and well-drained, fertile soil. One plant will produce about 3 to 6 cups of flowers (when dried), so plant accordingly. Seedlings are commonly available in spring at well-stocked nurseries or you can see Resources below for a mail order source of seedlings. 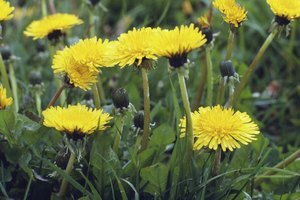 The plant typically begins to bloom in mid-summer and continues blooming into fall. Pinch off the blossoms the day they open. These young flowers not only have the best flavor, by removing them you also encourage the plant to bloom more. Get in the habit of checking for new blooms once a day and harvesting them. 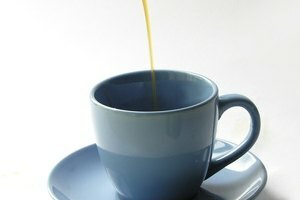 From my experience, 2 cups of fresh blooms dry down to about ¼ cup. Immediately after harvest, bring the blossoms indoors and spread them out in a single layer on craft paper. Dry the blossoms in a spot that is indoors, warm and out of direct sunlight. Allow the blossoms to fully dry (they should crumble easily when rubbed between your fingers). When dry, place them in a glass jar with a lid or in a brown paper bag. Store the chamomile in a dark, cool spot for up to one year. To prepare tea, pour 8 oz. of boiling water over 2 tbsp. of dried chamomile blossoms. 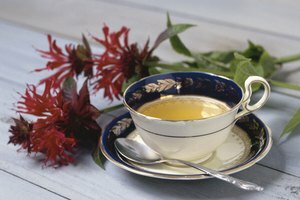 Allow the blossoms to steep for 4 to 5 minutes, then strain the tea into a tea cup. Add honey and a thin slice of lemon, if you like. Chamomile readily self-seeds, so you will most likely only need to purchase seedlings once!